Rebound/ Compression adjusted in unison via 32 step adjustment. For optimal performance Pillowball Upper mounts are a great feature. 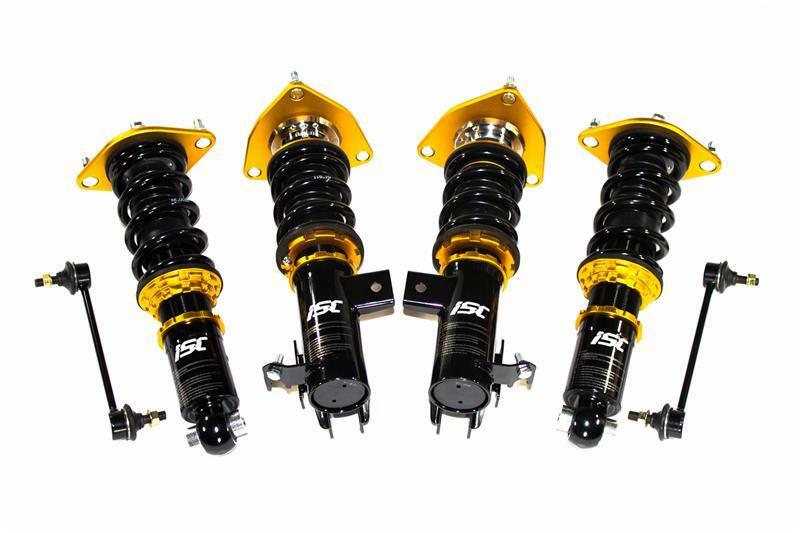 ISC Coilovers include pillowball upper mounts on all N1’s. We will not charge you 50.00- 100.00 to upgrade to a thrust bearing kit, these are a FREE upgrade on all ISC N1’s. 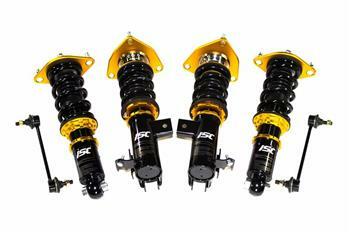 This helps eliminate the chance of spring bind; a common side effect of running aftermarket coilovers. Larger cylinder and piston design to advance driving stability and dexterity. Mono-Tube damper with high pressure nitrogen. Threaded portion of shaft is powder coated then salt spray coated for optimum street durability- We suggest also using anti seize or other protective products when you install your coilovers for even further protection from the elements if you are exposed to snow and salt.